After restarting ntopng, you should be able to login with the administrator credentials. After restarting ntopng, you can login with the default ntopng credentials (admin, admin). To monitor the web sites visited by an host, make sure it is local (if unsure about what is a local host check page Hosts). Then, you’ll be able to immediately view its visited sites by following the simple instructions available at Sites. Note that both plain HTTP sites as well as HTTPS sites are monitored! Is your Internet connection slow? Do you think someone in the network is consuming all the available bandwidth? Well, ntopng helps you in understanding this. First, have a look at the Dashboard and the Dashboard in the Professional Version. You’ll immediately see the top local talkers and the top remote destinations there! 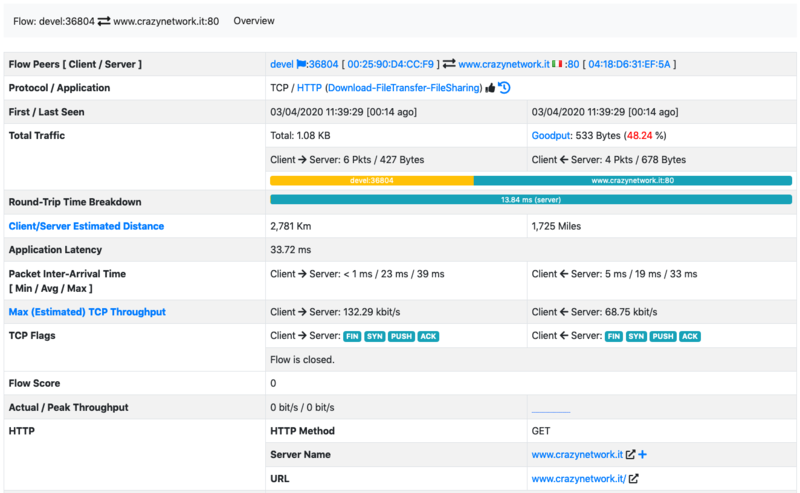 Then, you can click on any of the hosts that have the highest throughput to see what are they doing. 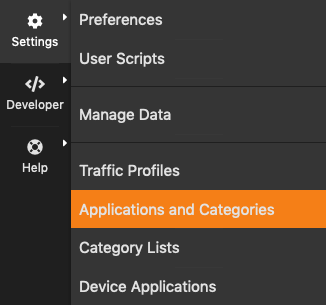 Select the Flows page and sort flows according to an ascending order of the “Actual Thpt” to have visibility on the actually traffic the host is currently doing. 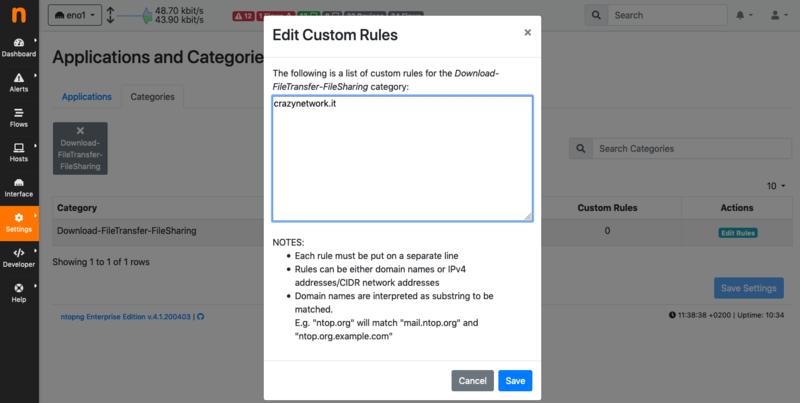 Let’s say you want to want to associate traffic from and to hostname crazynetwork.it to category “Download-FileTransfer-FileSharing” as you know that that particular host is a mirror for the download of ISO images. Then, add hostname crazynetwork.it to category “Download-FileTransfer-FileSharing” by clicking on “Edit Hosts”. Additional details and examples can be found at Custom Categories.